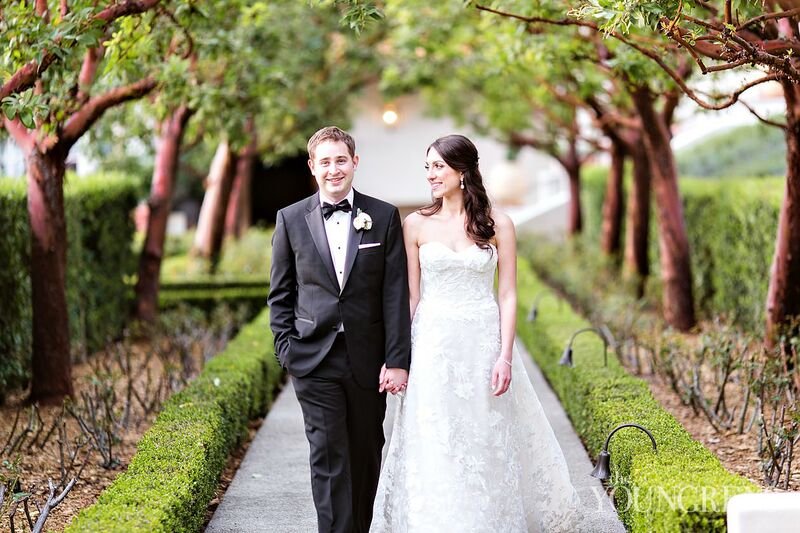 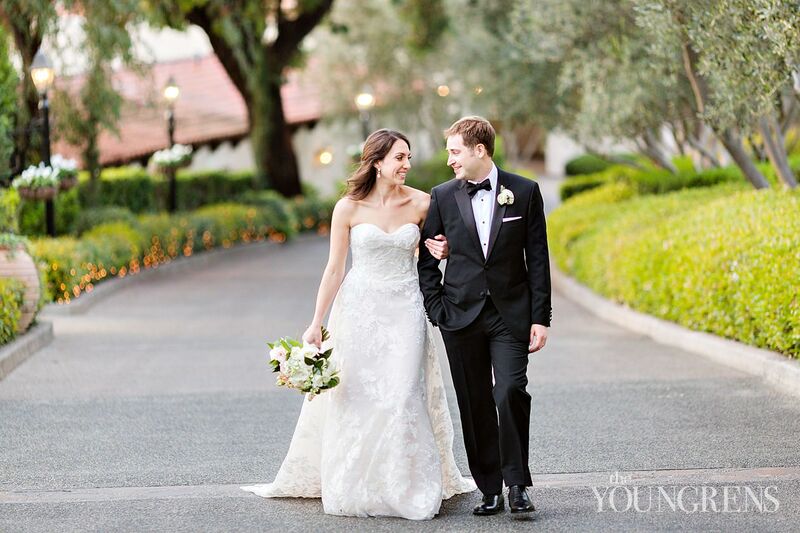 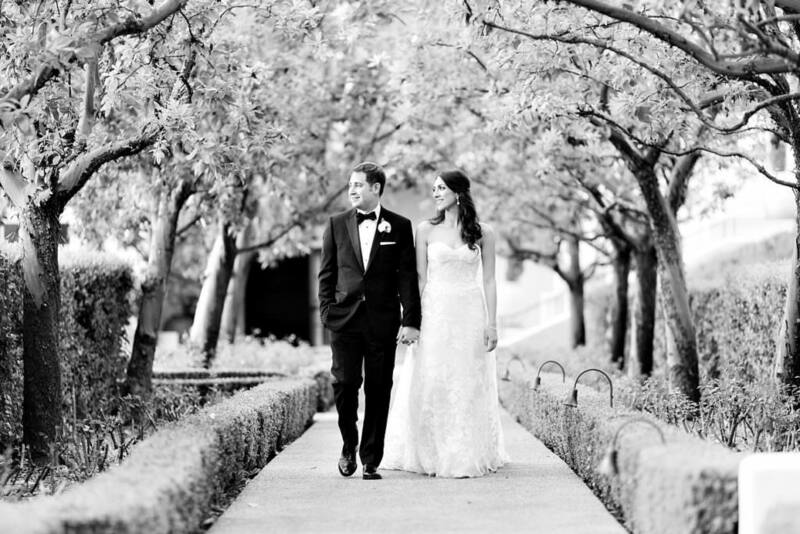 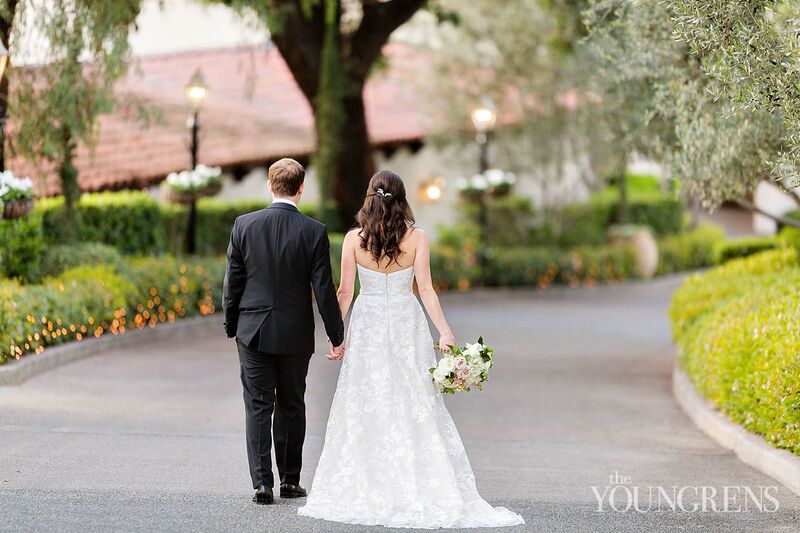 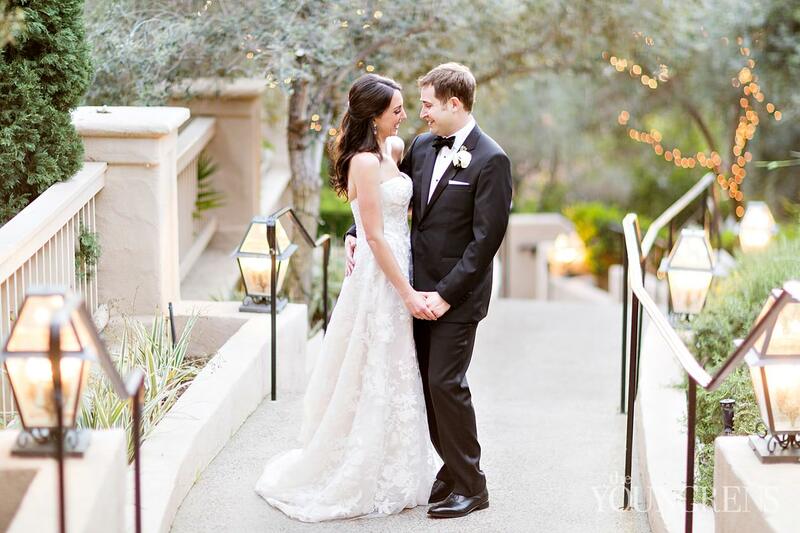 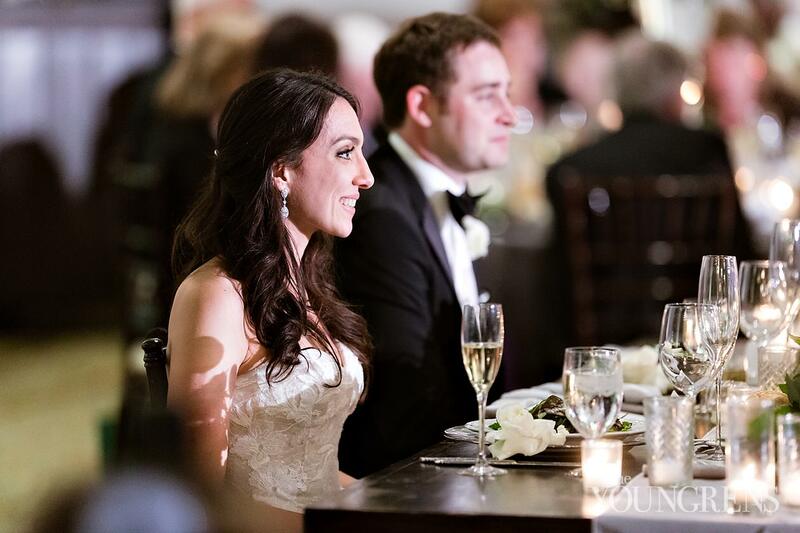 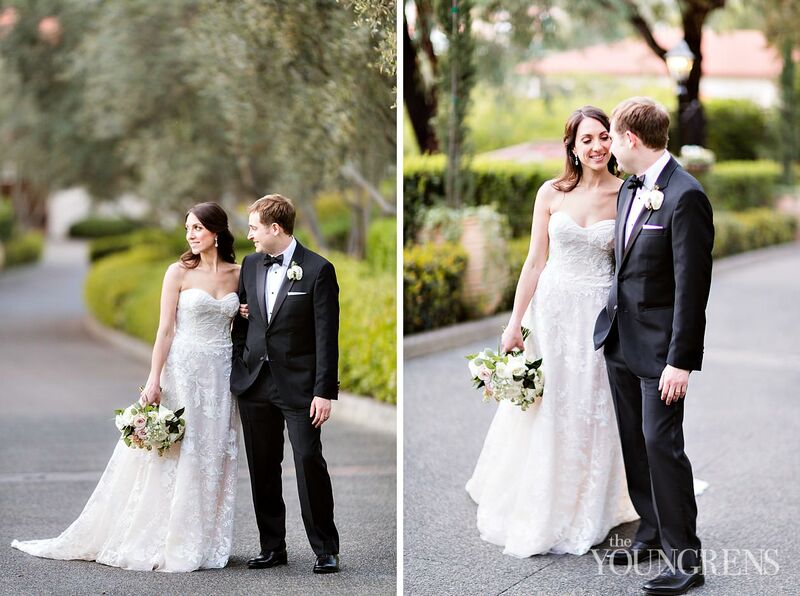 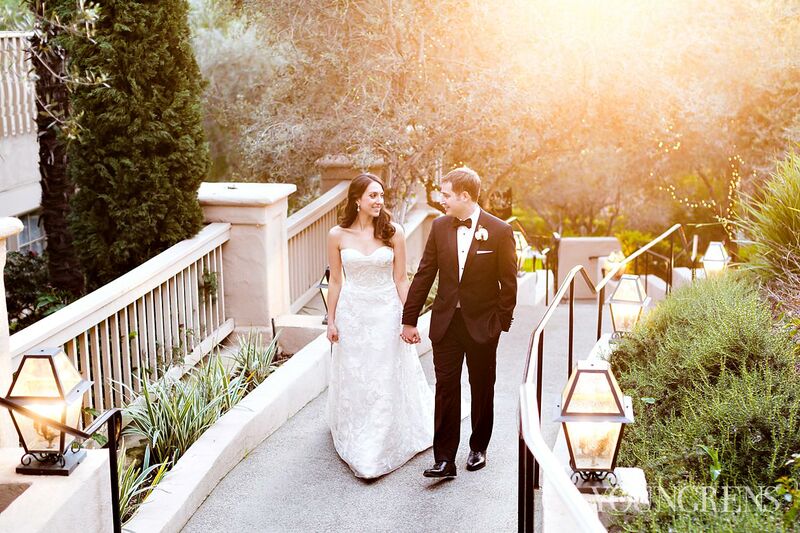 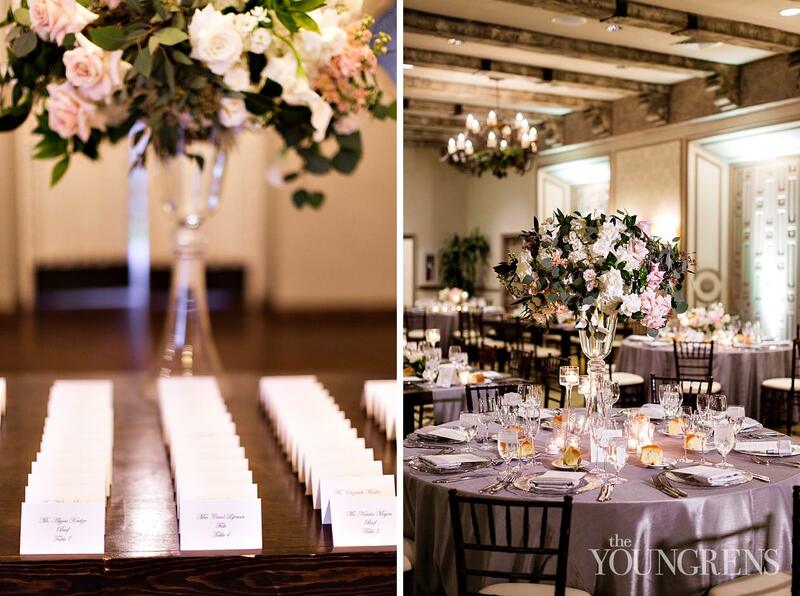 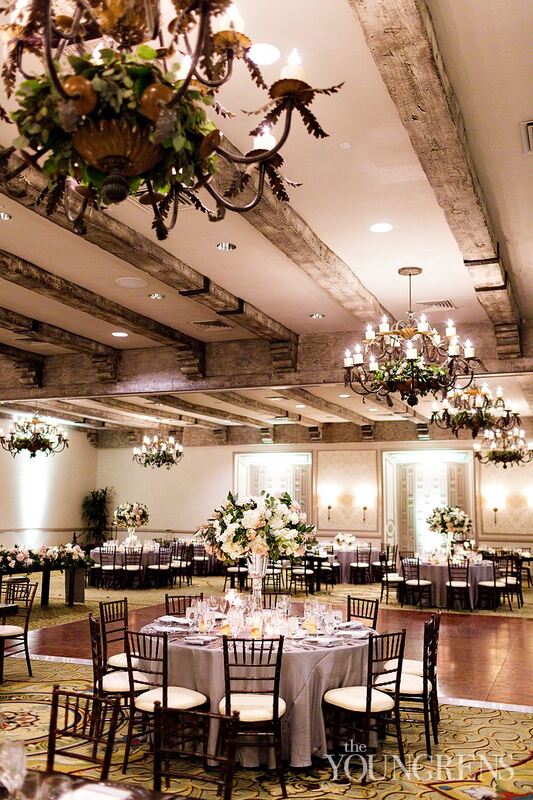 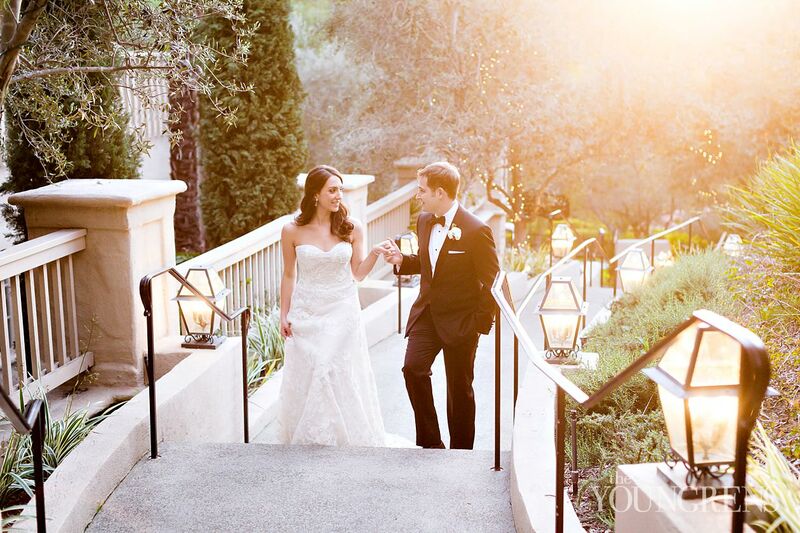 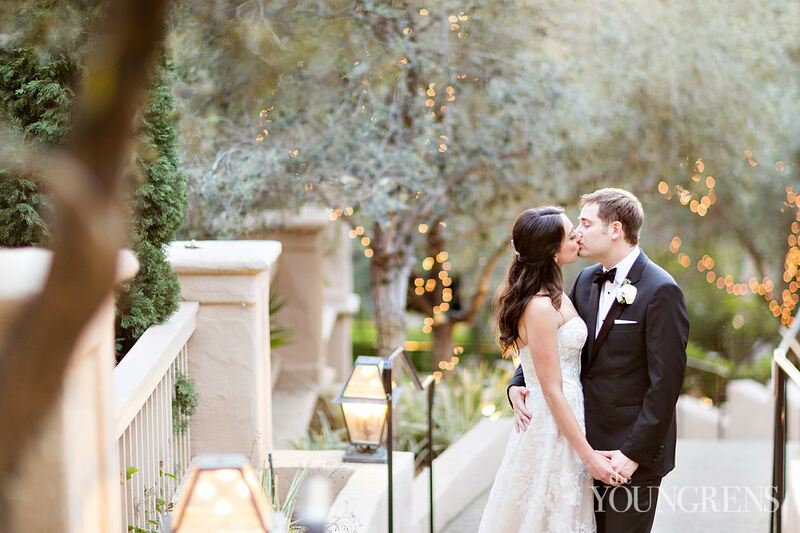 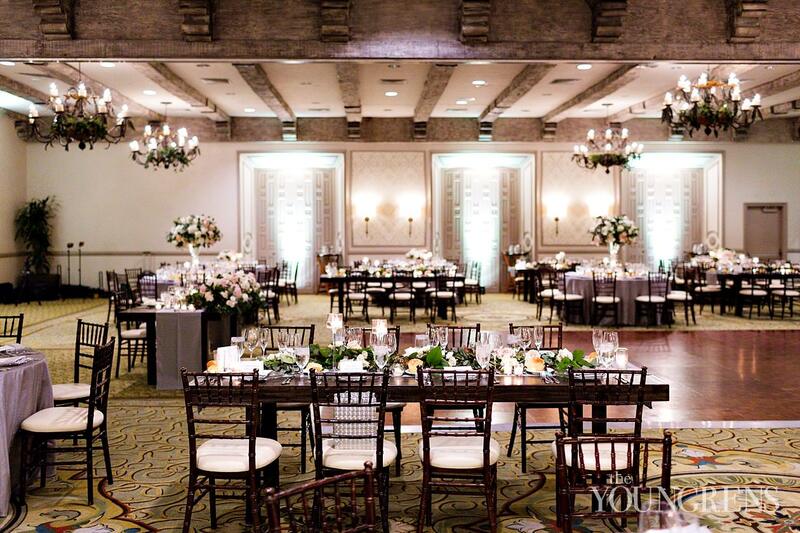 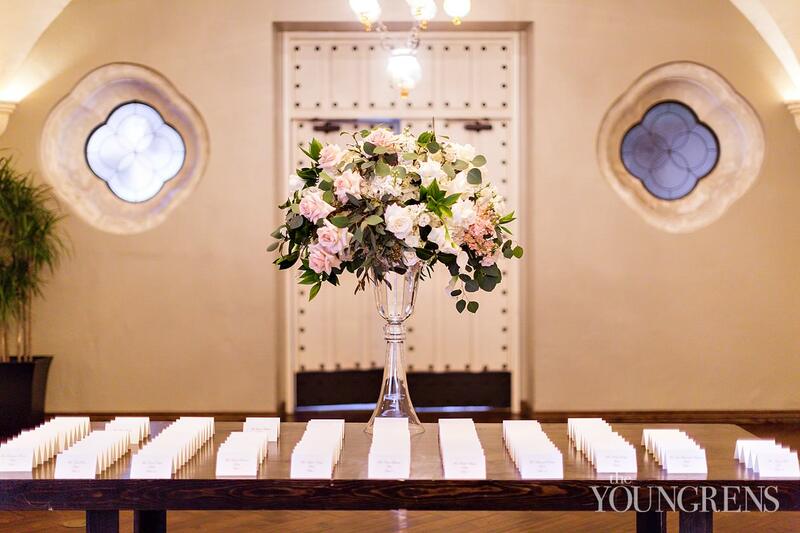 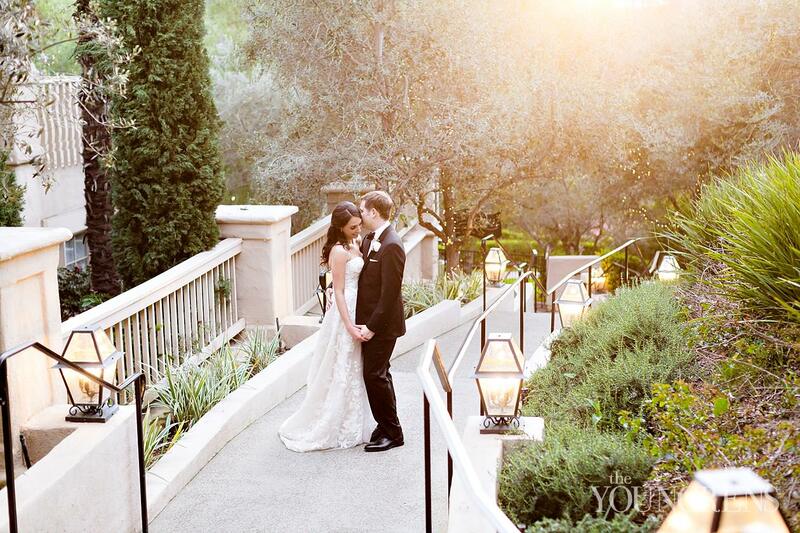 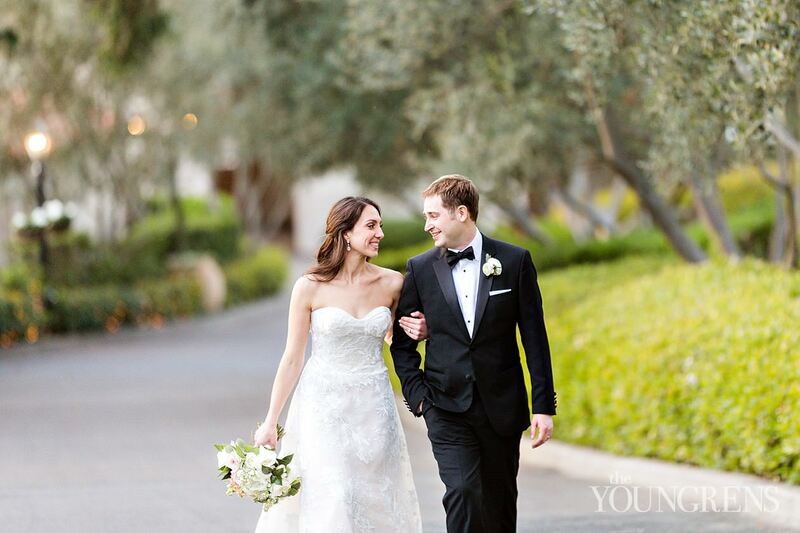 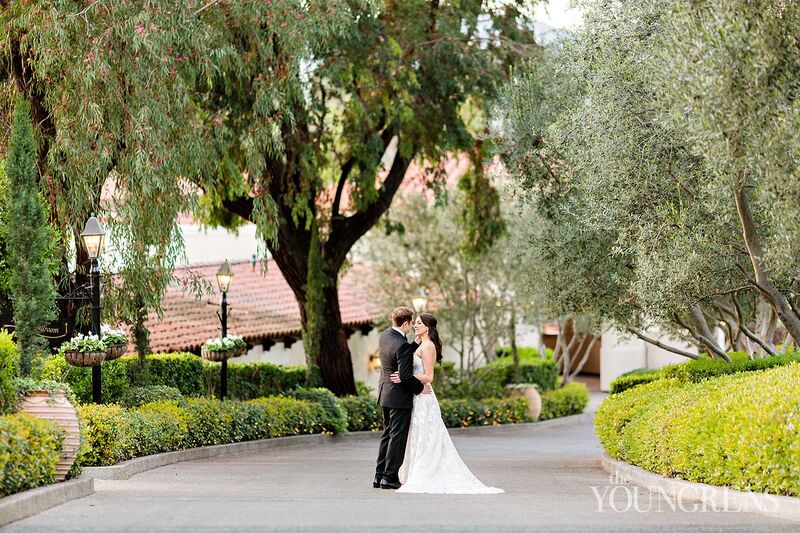 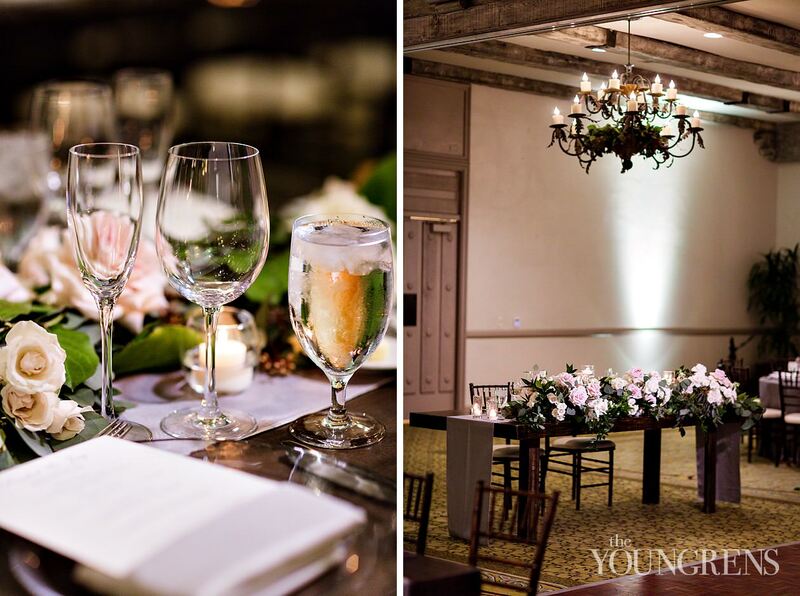 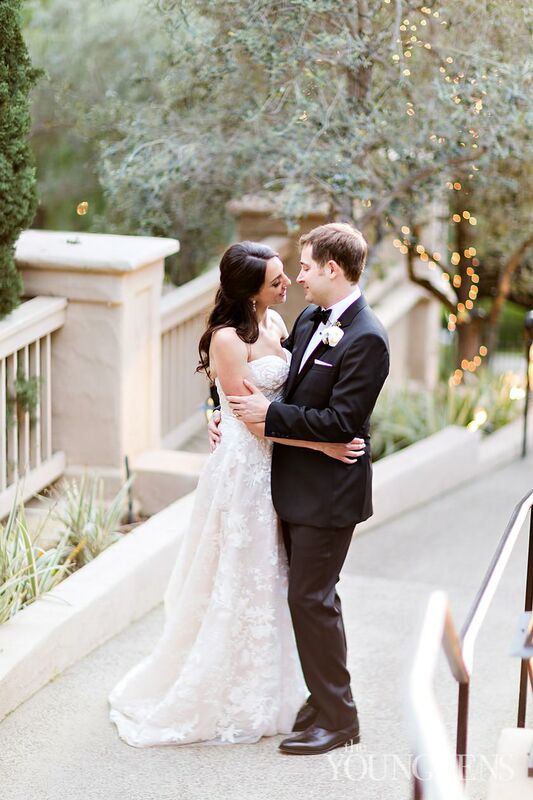 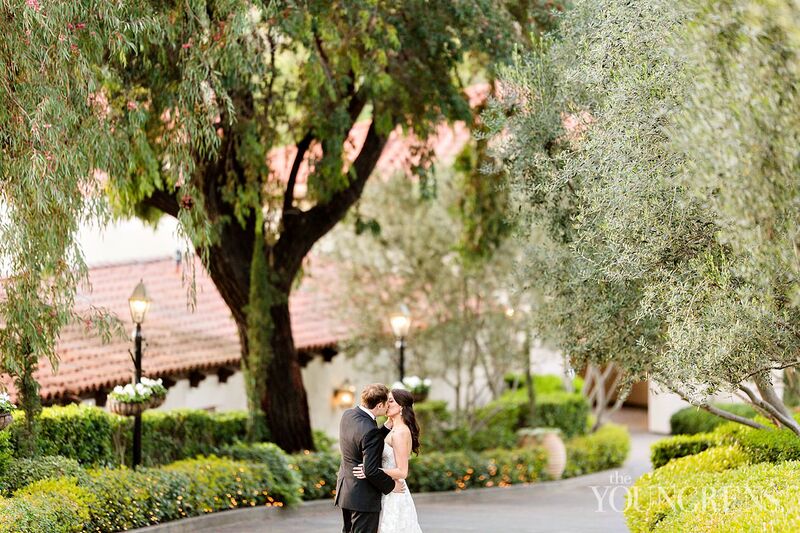 Welcome to Part Two of Jay and Rachel’s oh-so-romantic wedding at Rancho Bernardo Inn! 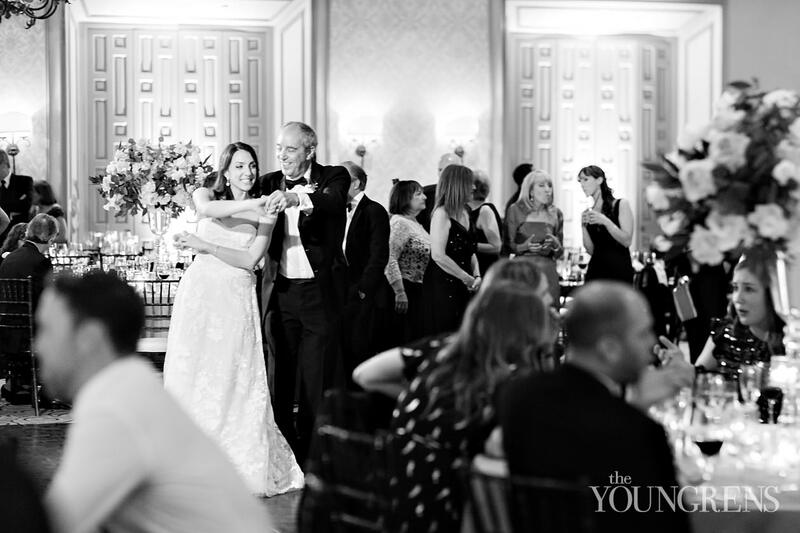 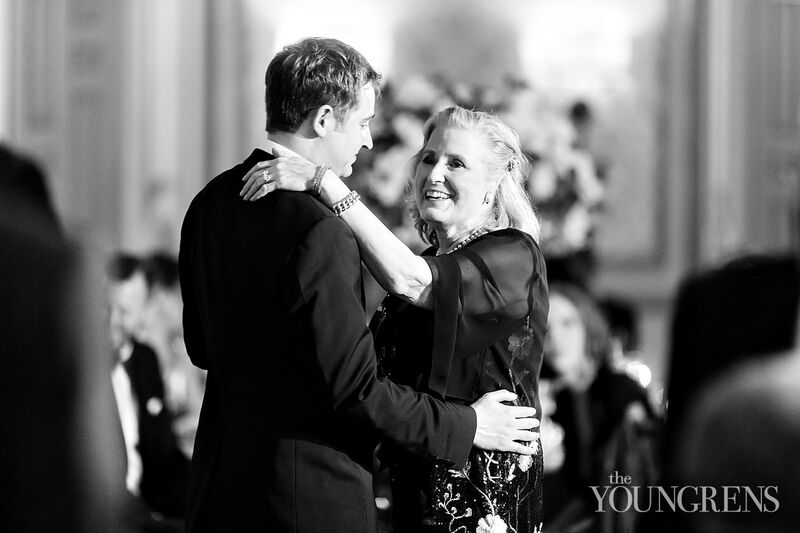 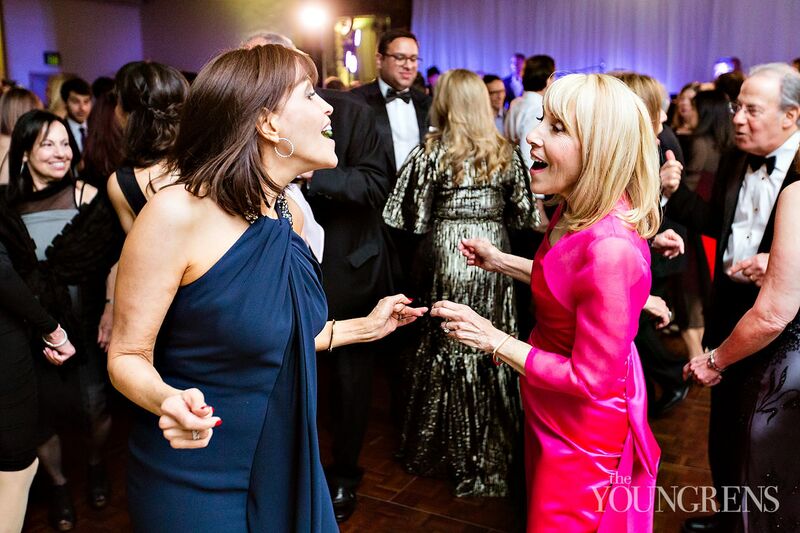 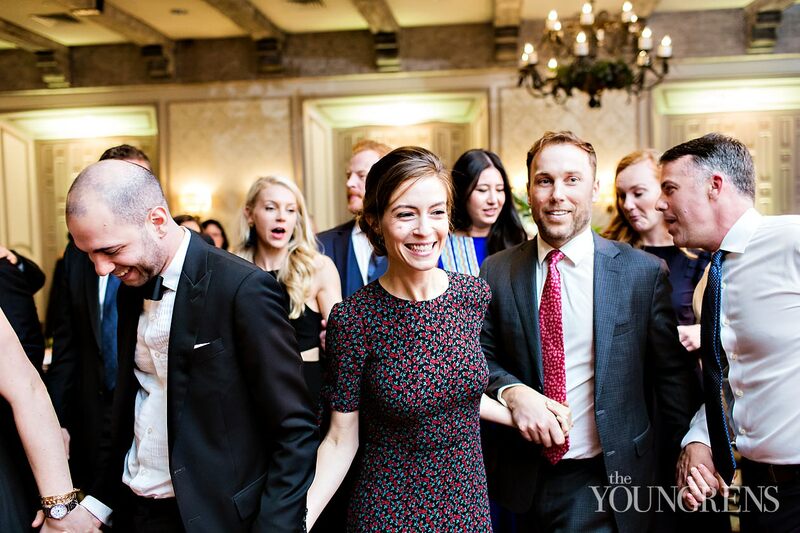 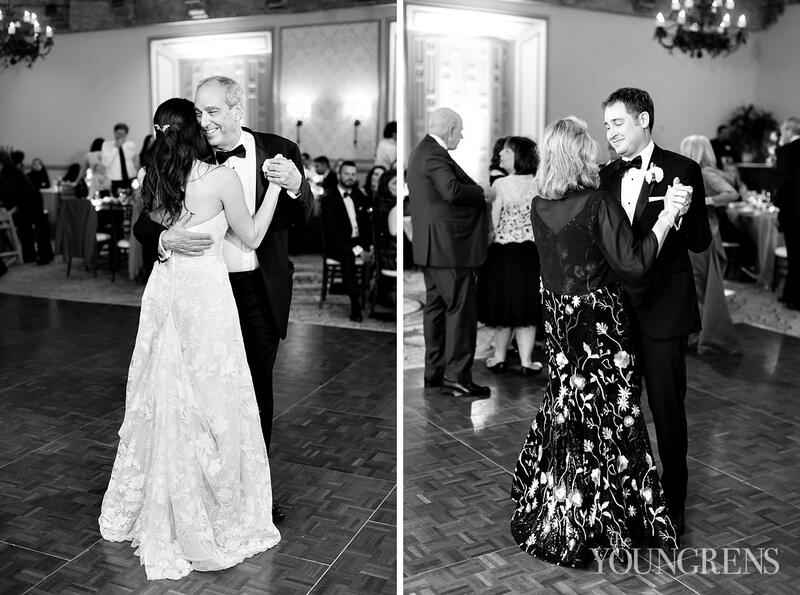 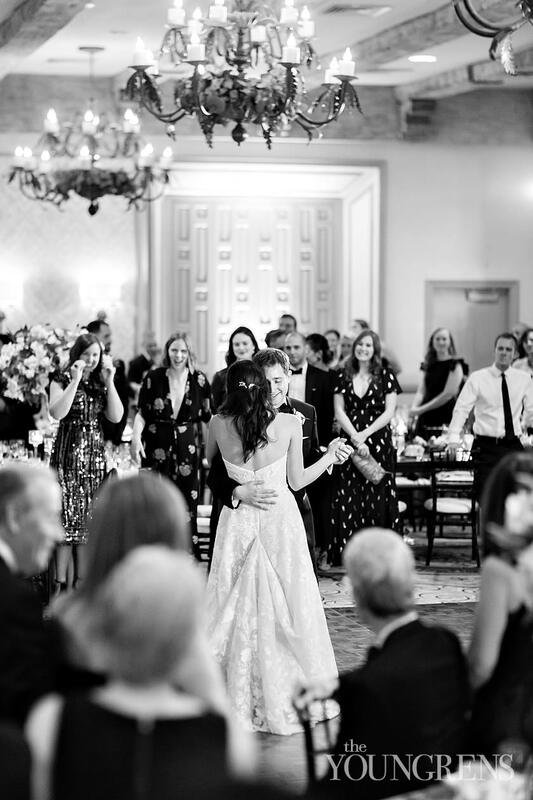 Jay and Rachel's wedding had ALL the classic vibes - there were so many heart-filling, family-focused, rich-with-tradition moments that had Jeff and I feeling like the luckiest photographers on the PLANET. 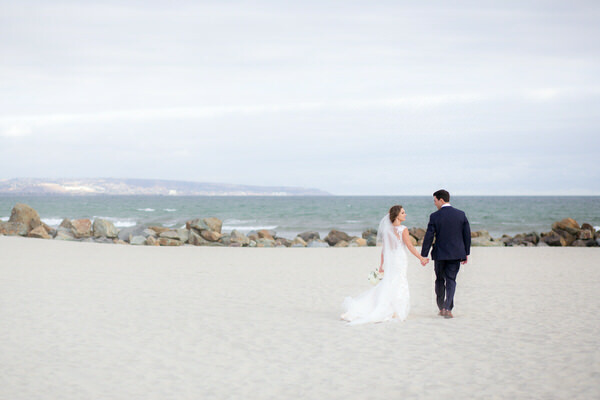 After they sealed the deal in their traditional ceremony (see all the goodness here in Part One! 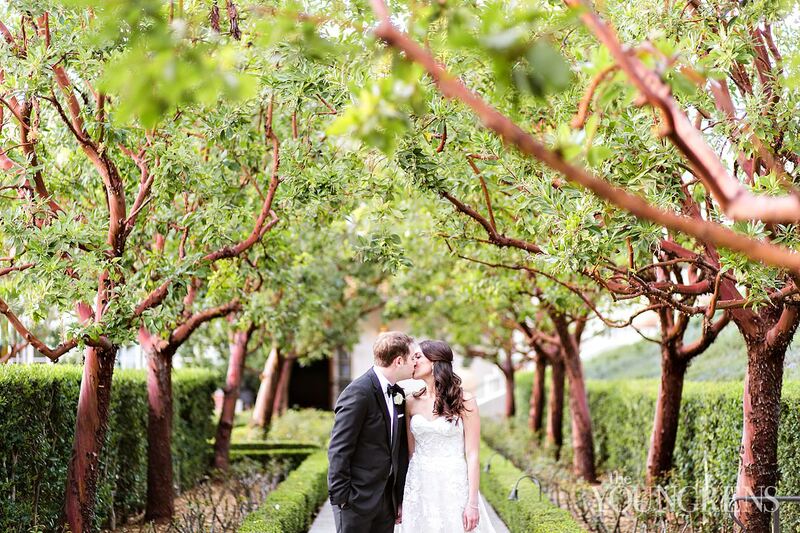 ), we walked among the trees with Jay and Rachel, and my friends, the light was just magical! 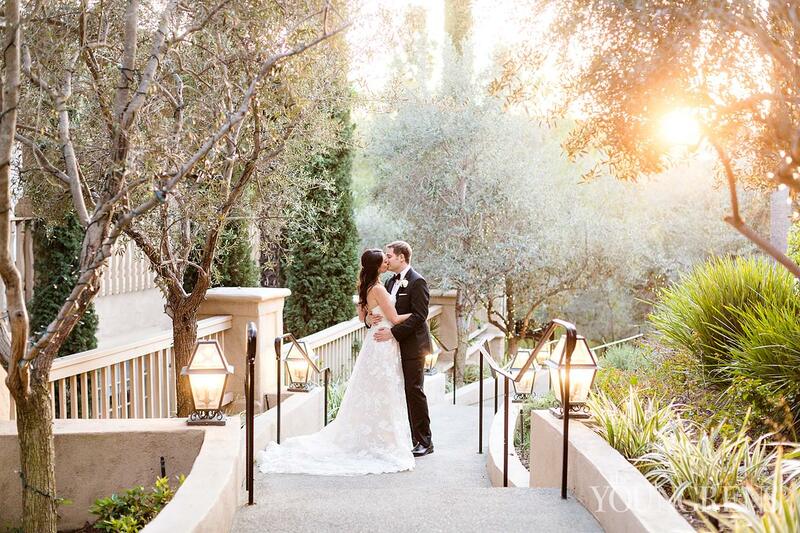 We were seriously giddy as the golden light popped through the trees to kiss our sweet newlyweds! 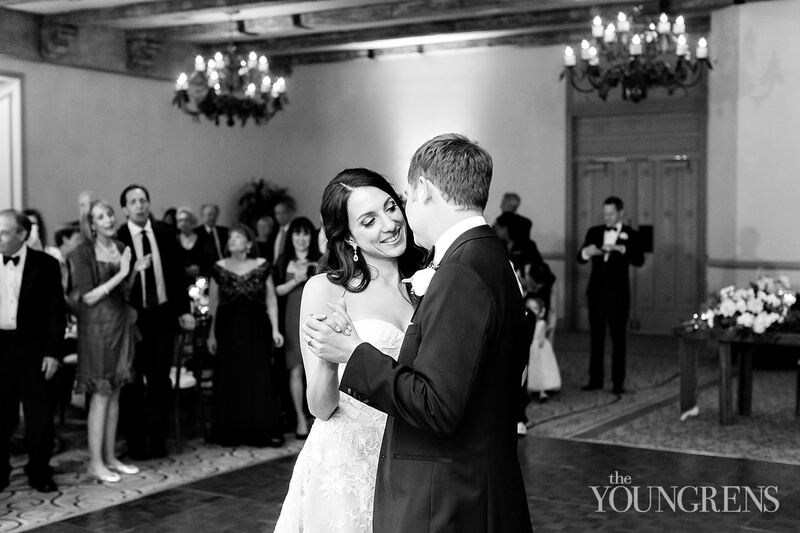 For the rest of the evening, Jay and Rachel did what they do best - they spent time together living in their bliss. 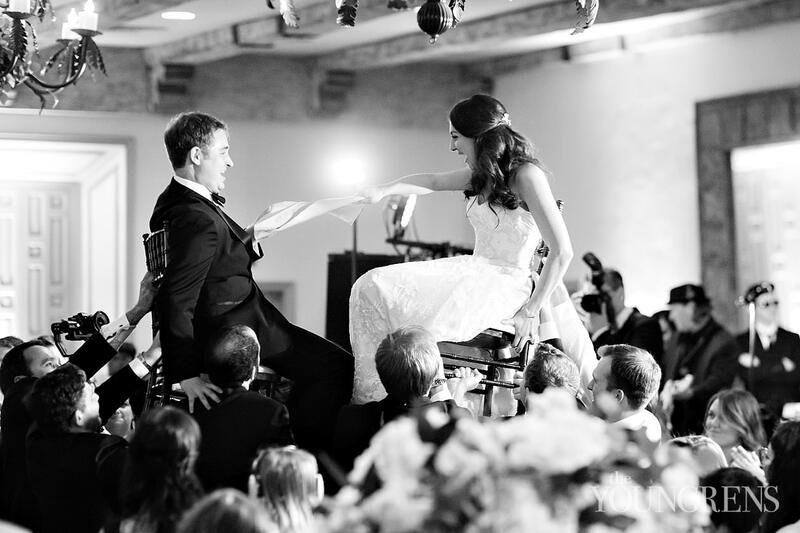 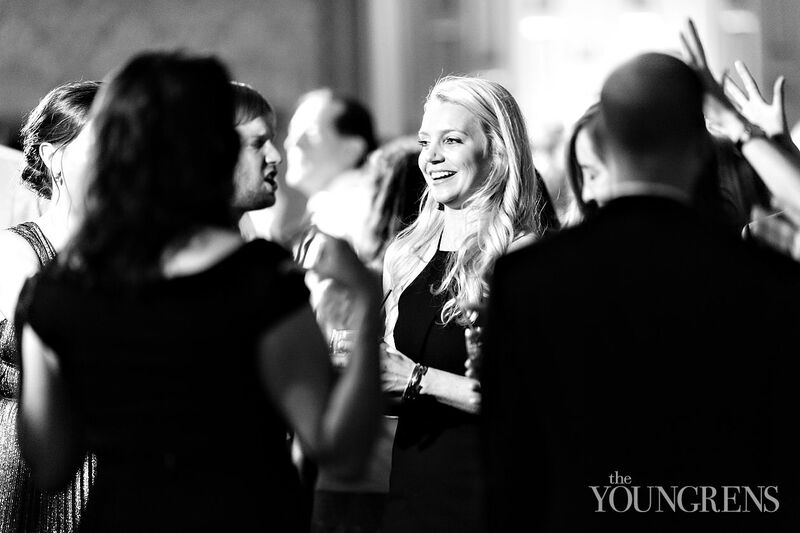 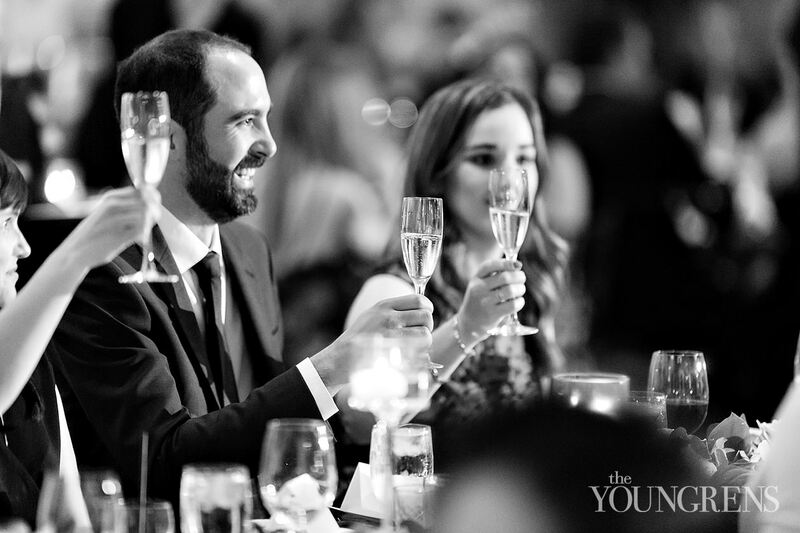 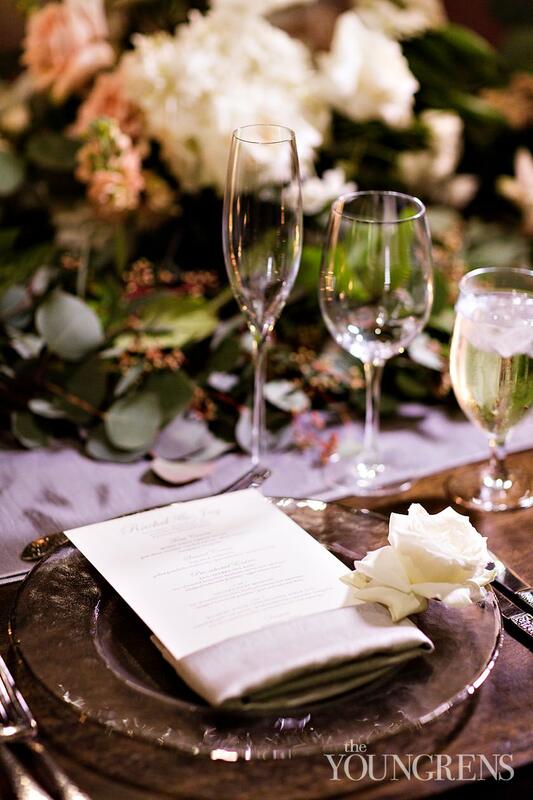 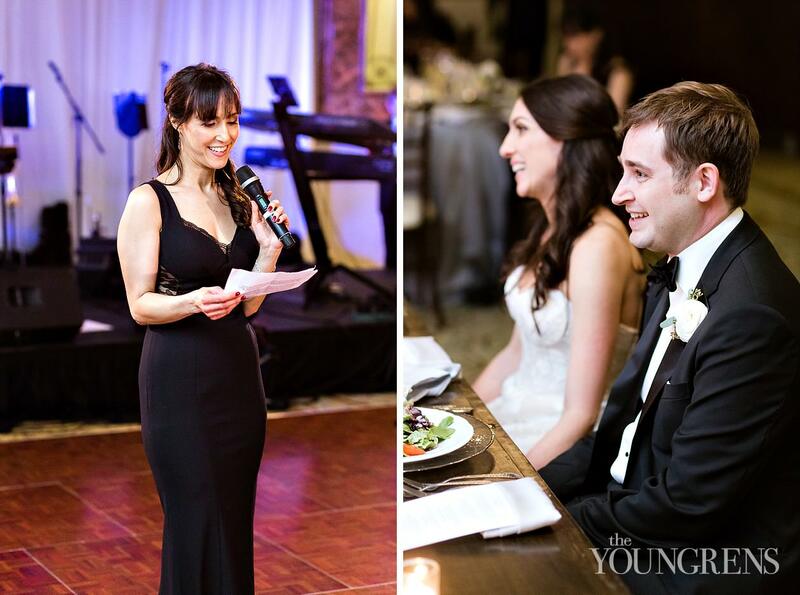 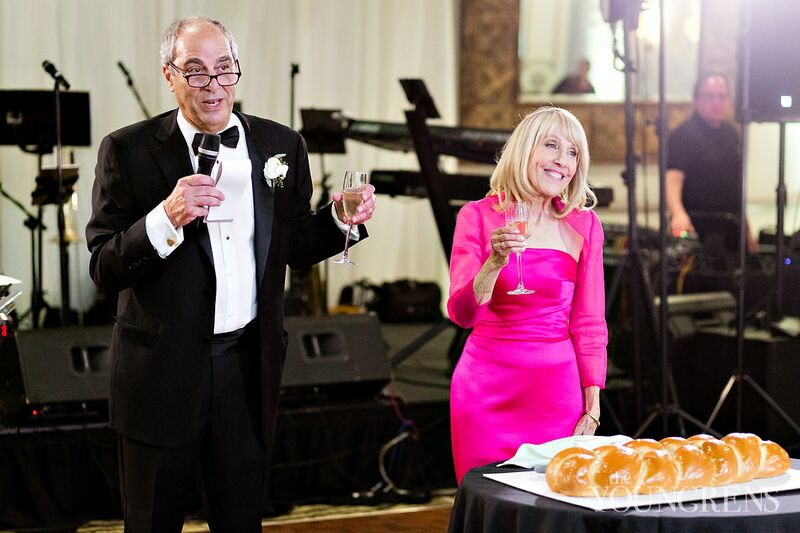 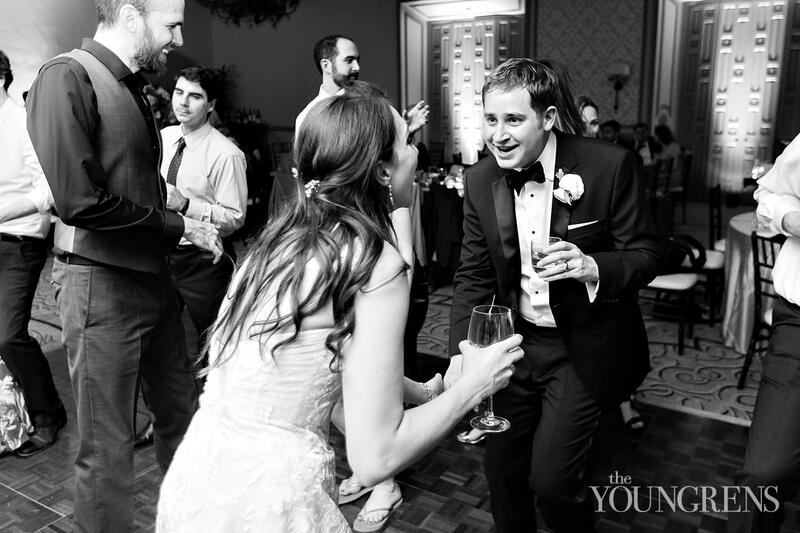 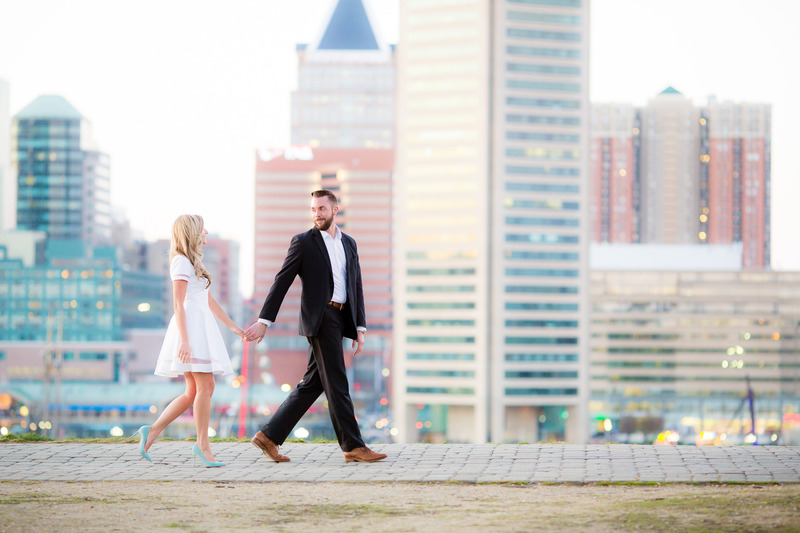 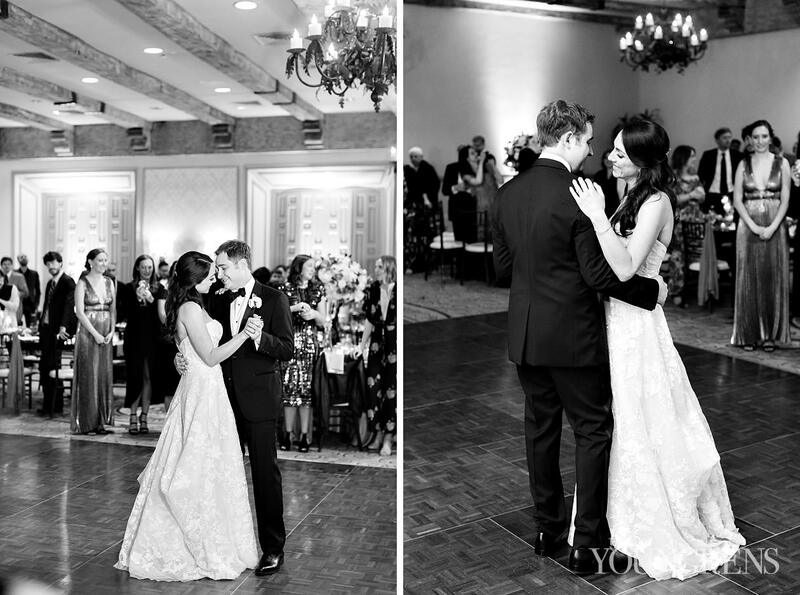 They stepped into the JOY that their reception held for them, and it was absolutely perfect! 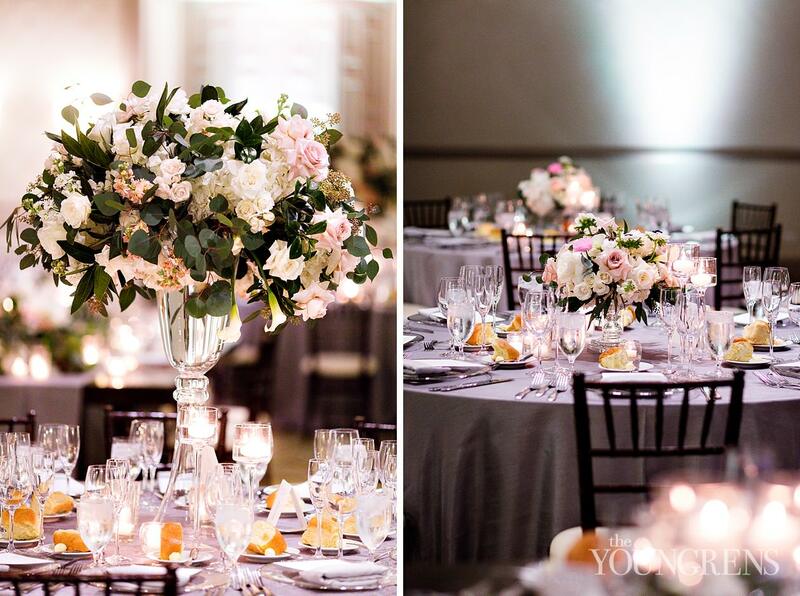 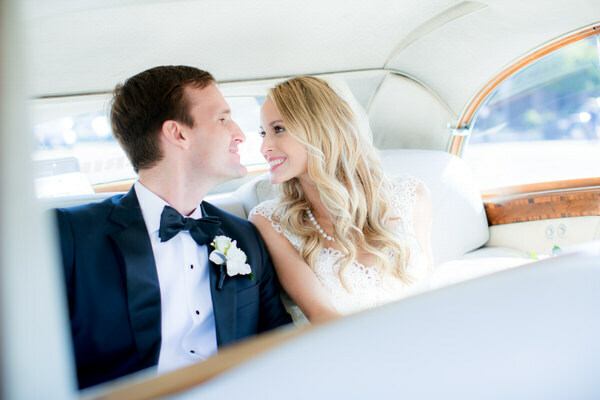 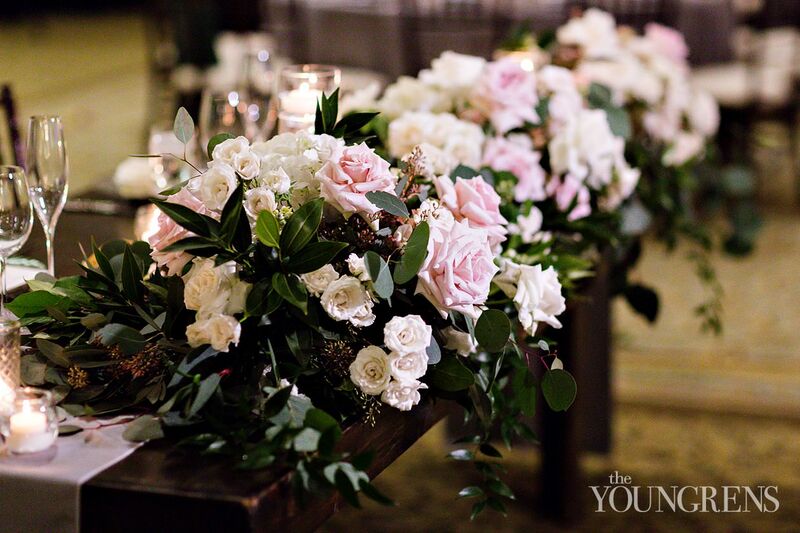 Their wedding day was beautifully designed and planned by Victoria of Victoria Weddings & Events, and it was exactly as Jay and Rachel had dreamed - simple, lovely, and classic. 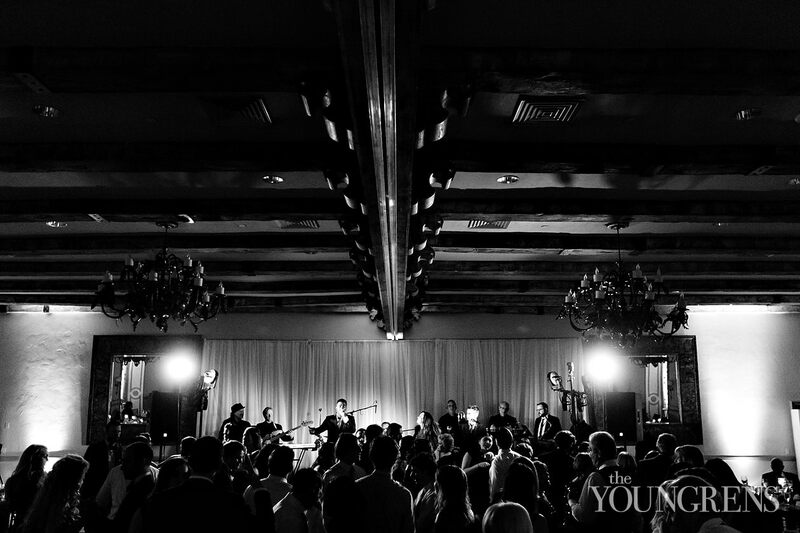 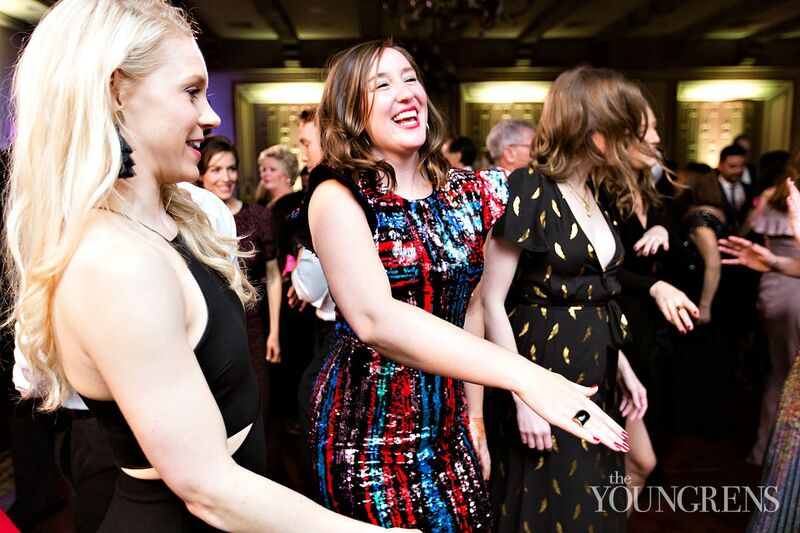 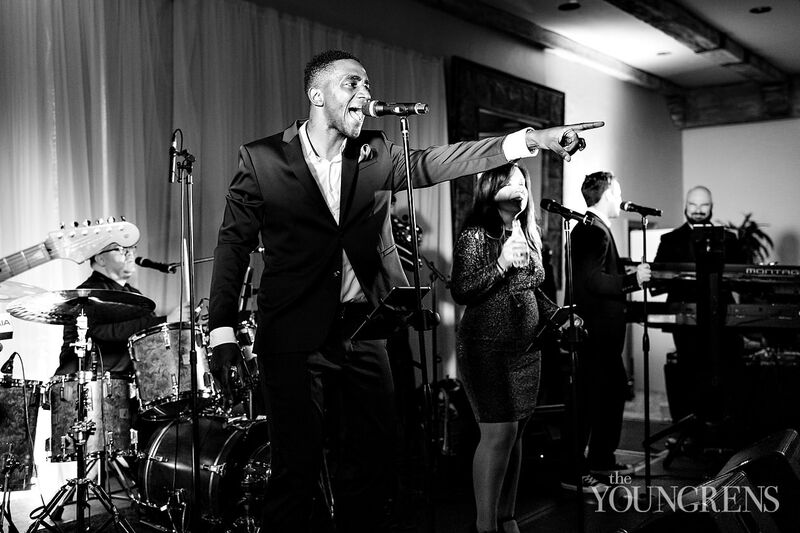 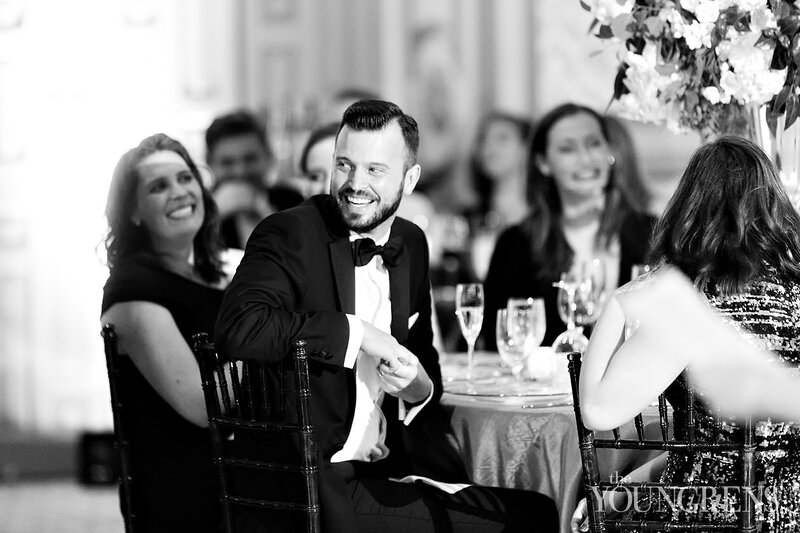 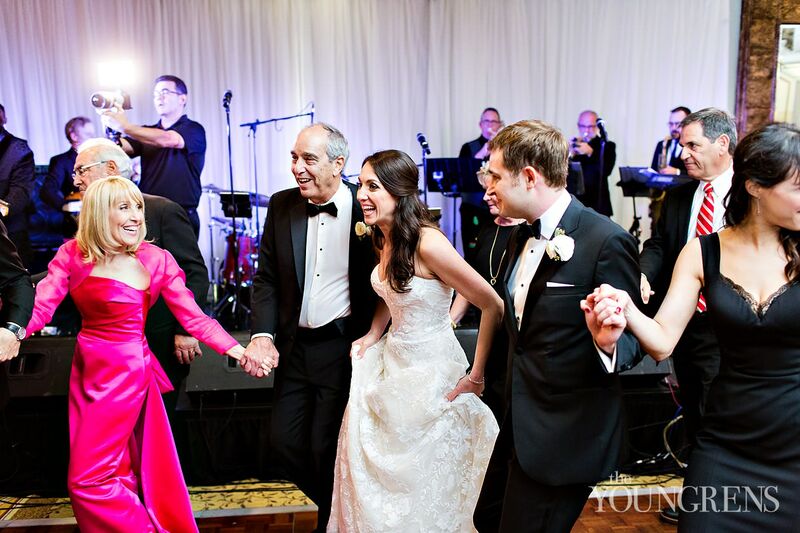 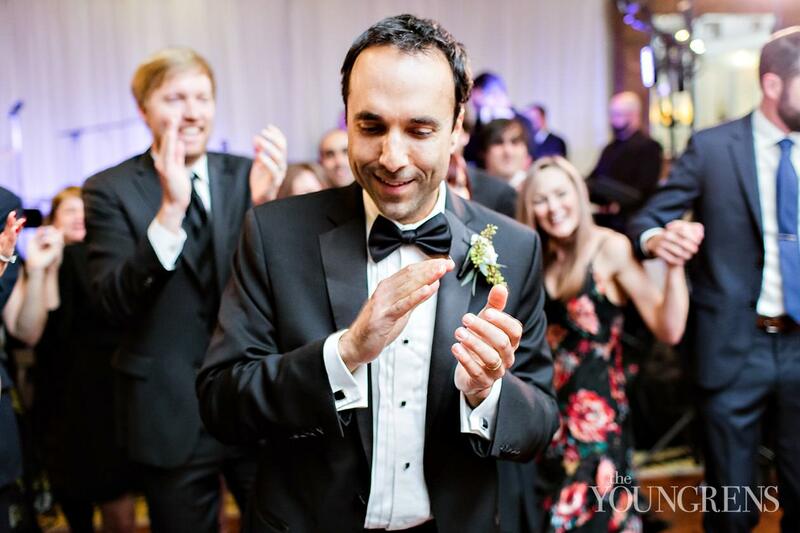 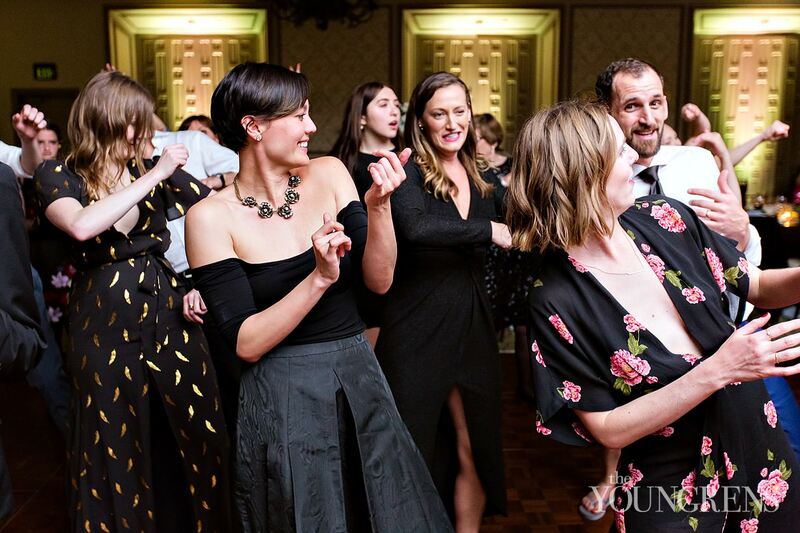 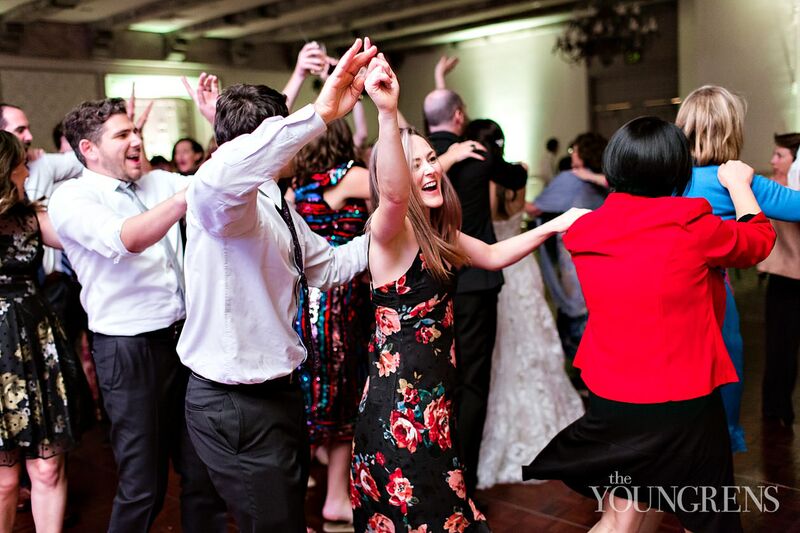 Parker & Posies created the most gorgeous florals, Jason Taylor of Taylor Films captured the emotion on film, and their oh-so-talented band The Mighty Untouchables kept everyone on their feet to celebrate! 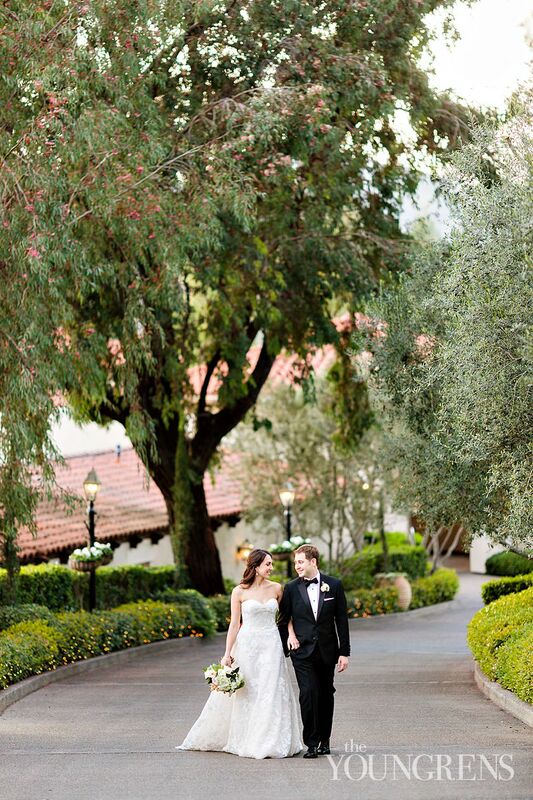 This was just such a perfect day! 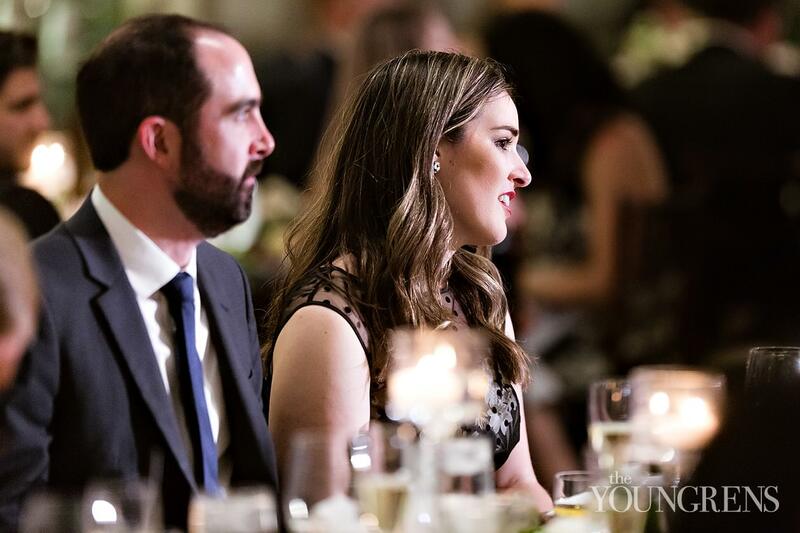 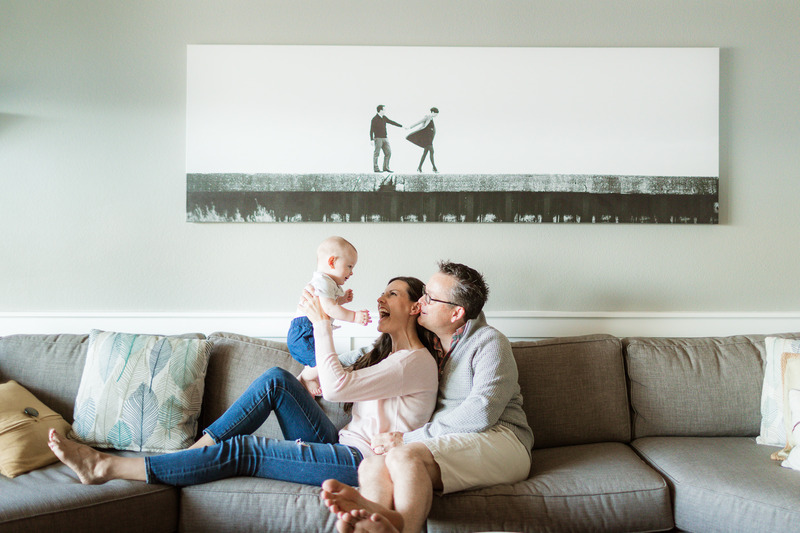 We’re so grateful for incredible couples like these! 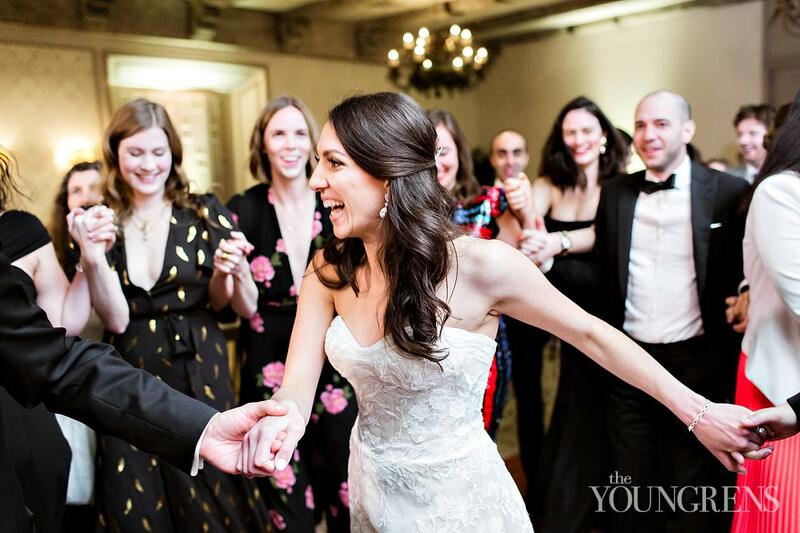 Jay and Rachel: Woweeee, my friends! 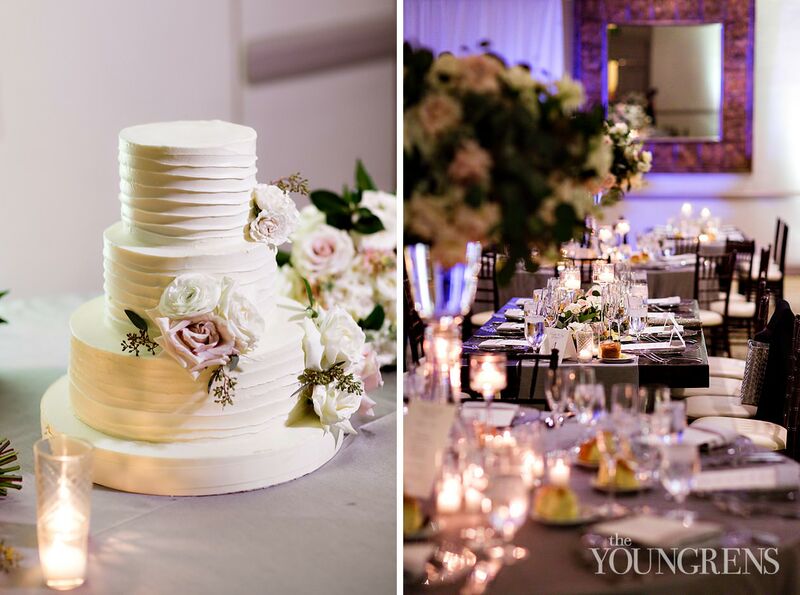 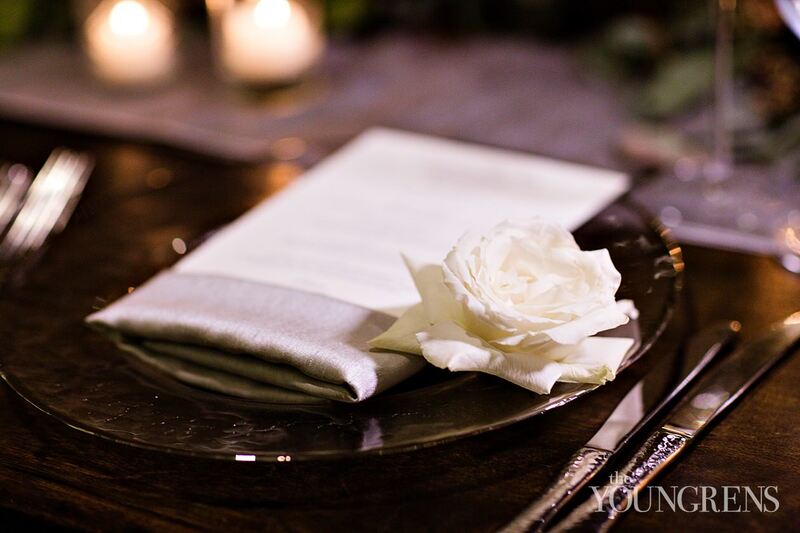 You have totally blown us away with your sweetness - not just with us and your guests, but with each other! 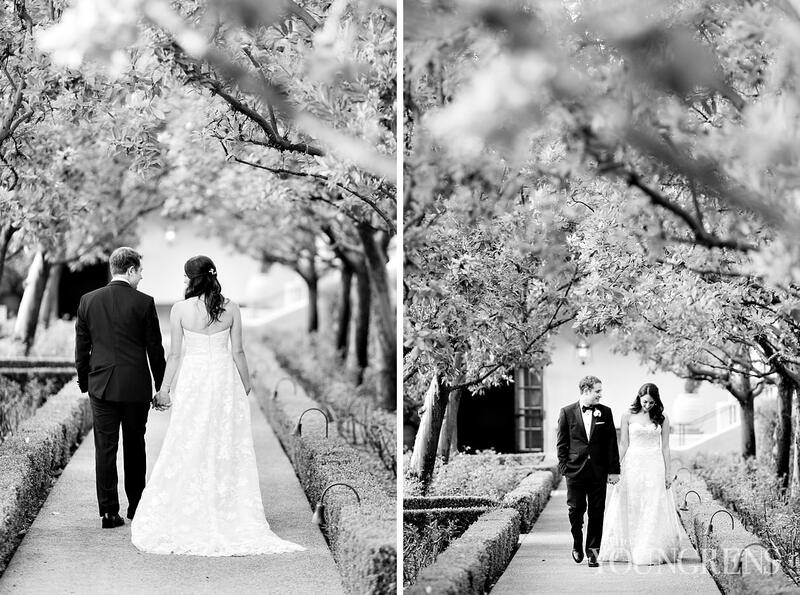 Keep loving each other selflessly - it is a beautiful thing! 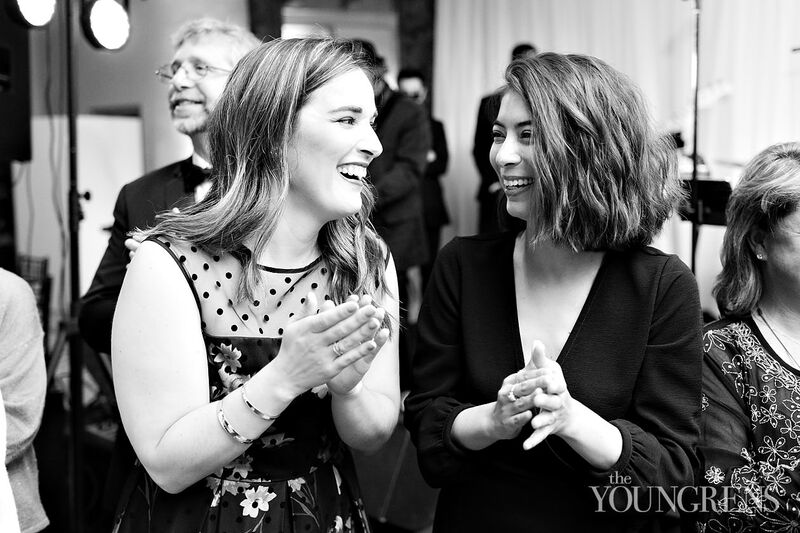 We love you both bunches!